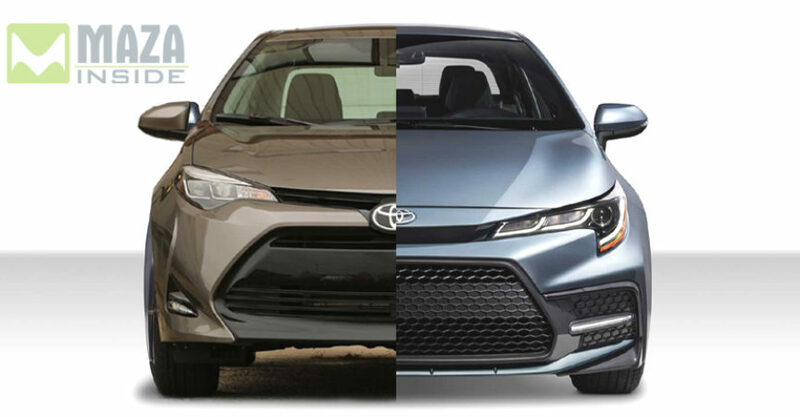 Compare the 2020 Corolla compact sedan with the old model. Toyota has just revealed the complete look of the brand new 2020 Corolla Compact sedan. What’s surprising is that the new version is slightly smaller than the old one, though the wheelbase remains unchanged. It follows the TNGA ( Toyota New Global Architecture) platform, which is used in several other Toyota front-wheel drives. 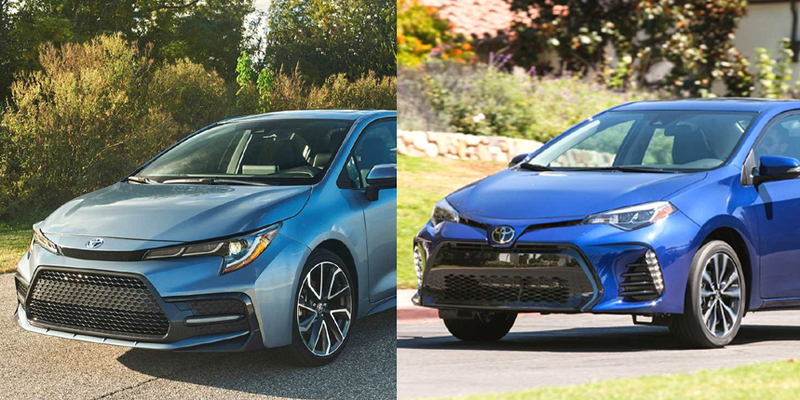 Although many of the features of the new sedan are similar to the 2019 Corolla Hatchback, there are major changes observed. Let us look at the differences and compare this version with the 2019 sedan. The most evident feature of the 12th generation Corolla, which is shared by the previous models, is the huge lower grille. Other than that, it has these slim LED headlights which are quite attractive and add a sleek appearance. 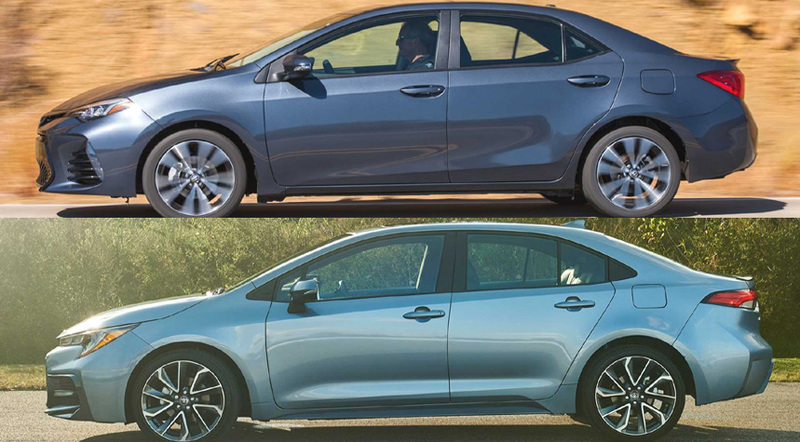 Looking at the front-facing image, it seems quite similar to the standard Corolla models. The high beltline adds a lanky look. The corners now look more edgy and clearly defined. Also, the body lines on the hood are very distinct. The sides of the new version resemble the previous one a lot. However, there are slightly different modifications. The rear pillar and the doors have been slightly altered. In general, no major changes are seen. This part is where you can see apparent changes. It’s more curvy now, along with the additional body lines. Even the grille at the bottom is different from the 11th generation and the trapezoid indenture is upside down. The design has been refurbished and looks classy yet simple. It’s more spacious as there is more legroom for the passengers. On top of that, there are additional safety features, for instance, automatic emergency braking and lane departure alert. This will also make driving more restful. Furthermore, the new model will be more advanced in terms of technology. It will contain a nine-speaker, 800- watt JBL audio system and multiple USB ports.